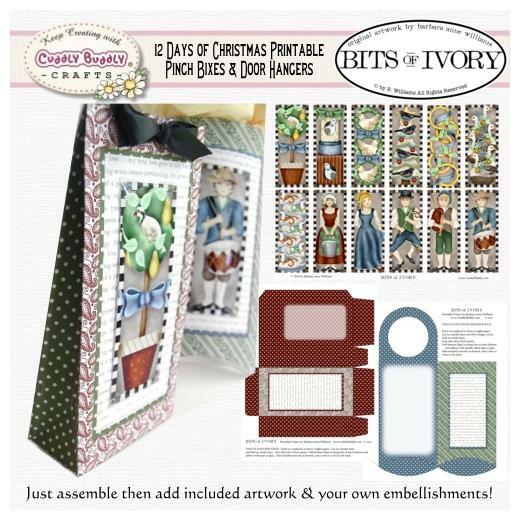 Simply print one of four pinch boxes or door hangers and the included sheet of artwork, cut and assemble the project and then add the artwork along with your own embellishments. 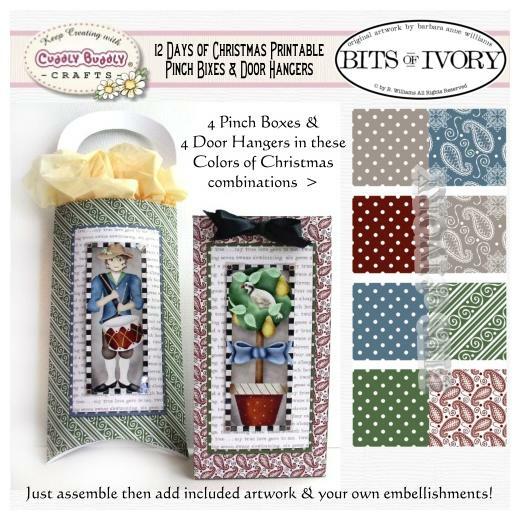 These little boxes and hangers are ideal for small gifts or treats, and with a beautiful image for each of the gifts in the traditional Christmas carol, "The Twelve Days of Christmas," can be used as a countdown to the big day as well! They also make adorable hostess gifts and place settings for your own holiday celebrations. All images are in 300 dpi .jpg format for high print quality.